Three position players for the New York Mets are out for an extended period of time. Fans may wonder how the team is going to compensate for the losses of third baseman David Wright, catcher Travis d’Arnaud and first baseman Lucas Duda. In my opinion, it will be much harder to find adequate production from Wright’s and d’Arnaud’s positions. That is because the Mets made a wise move by plucking James Loney from the Minor League ranks. Some people may be turned off by the fact that no other team thought enough of the 32-year old Loney to offer him a spot on a Major League roster. The problem was timing. Amazingly, the Tampa Bay Rays released him on April 3rd, when rosters are just about finalized. The San Diego Padres signed him to a Minor League offer five days later. It is not as though Loney forgot how to play ball overnight. He hit .288 in an-injury-filled season last year for Tampa after batting .290 with 69 RBI’s in 2014. Probably the biggest shocker out of Tampa was that he was owed nearly $10 million dollars for 2016. With the acquisitions of Logan Morrison and Steve Pearce, it was clear the team wanted to go in a different direction. As far as the Padres go, they were set with Wil Myers at first base so cracking their roster would have been hard. So it was best for Loney to be patient, play at Triple A and wait for the first team to call that had an opening. Enter the Mets. Duda’s back flared up in mid-May and it was later revealed that he had a stress fracture. The slugger had hit 57 home runs over the last two full seasons and seven prior to his injury. Replacing the power is something that Loney will not be able to do. However, he has a better glove at first base and he is a better overall hitter. His on-base percentage is slightly lower than Duda’s but with a different lineup, that could improve. In Tampa, he was never surrounded with the most potent collection of hitters. However, with the Mets, he could potentially be batting sixth, a perfect spot for a hitter of his caliber. He has good gap power, once hitting 41 doubles in a season and has driven in as many as 90 runs. Hitting third, as he sometimes did in Tampa, is not his strength. Hitting sixth in New York’s order is perfect. 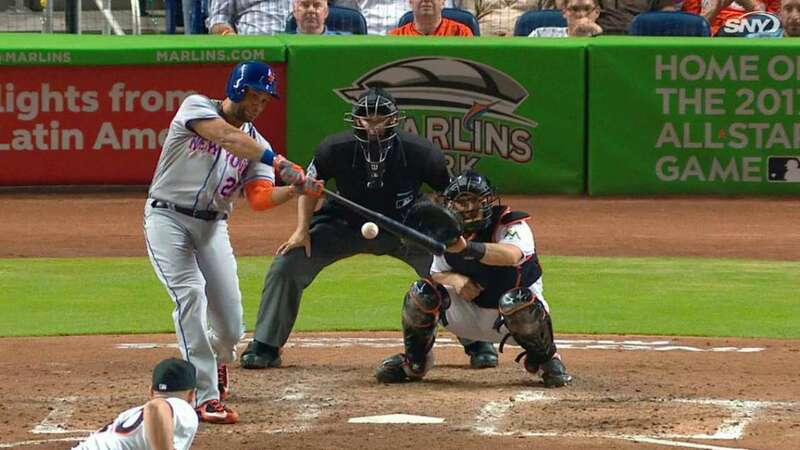 Will we see the 41 double, 90 RBI James Loney with the Mets? Probably not but in this lineup, he won’t be asked to do that. The glove is a significant upgrade and he will do enough with the bat to ease the pain of losing Duda’s pop. First base through the rest of the Summer will not be a concern for the Mets.